Ever before Ranveer Singh & Alia Bhatt’s Gully Boy hit the theatres, time is already here for the duo. The dialogues, heart thumping raps are going viral on social media like a wildfire. While a bunch of parody and scoops were a part of our watchlist, the ones below undoubtedly topped the list. Check out! This fun parody revolves around a foodie trying hard to maintain his diet but the theme ‘Apna Khana Aayega’ proves himself to be a rebel. The struggle is real when it comes to a perfectly shaped body but nothing matches the dripping lust when we’re forced to resist our favourite junk items! With super fun liners like mocking Zomato (for its delivery boy who was captured eating the customer’s food), this indeed is a must match which has over 7 million views on YouTube. This Gully boy spoof- Gully Bai features Manju, a badass servant with the tagline, ‘Apna Bonus Aayega’. Being amongst the first spoofs to surface online, it went onto garner 5.1 million views on YouTube. With dialogues such as “Ab ye bottle mereko batayega mai kitna phenyl daalegi?” on being asked to use limited amount of the same and the hastag #YouOnlyLeaveOnce make it only a further laughter ride. You surely cannot miss out on this one! This one’s super unique! Mocking the youth’s addiction of making Tik Tok videos with the line “Asli Tic Toc Se Dubaaein Hindustan Ko” says it all. With 3.4 million views on YouTube, this one’s another parody that was loved by the netizens. Which out of the above is your favourite? Let us know in the comment section below! 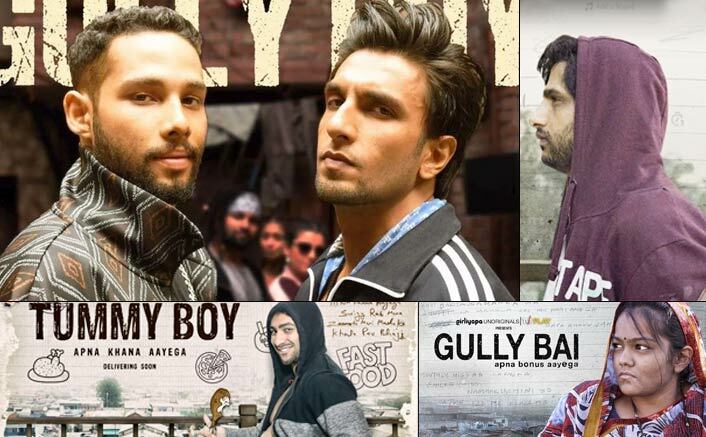 The post Gully Boy Spoofs: Here Are The 3 BEST Trailer Spin-Offs You Should Watch RIGHT NOW! appeared first on Koimoi. Previous ArticleAlita: Battle Angel Box Office Day 3: This Visual Spectacle Is Surely Attracting Its Target Audience! Next Article From Luck By Chance To Gully Boy – Rise Of A Film School Known As Zoya Akhtar!